The Castro Theatre offers a range of cinematic showings from movies to musical sing-alongs. The theater is located on Castro Street between 17th and 18th streets. The Castro offers accepting and inclusive community. 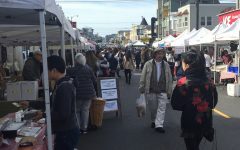 Sandwiched between Duboce Triangle and Noe Valley, the Castro is a bustling neighborhood known for its progressive atmosphere, rich history and eclectic shopping scene. Lined with palm trees and rainbow flags representative of the LGBT community, the Castro is nationally and historically known as one of the first gay neighborhoods in the United States. The Castro Theater, a Baroque-style cinema on Castro near Market Street, offers movie showtimes as well as musical sing-alongs. The theater will host of Disney’s “Moana” Feb. 18-19 and “The Little Mermaid” Feb. 22-25. A detailed list of upcoming shows is at www.castrotheatre.com. The area also features small cafes and snack spots such as Posh Bagel at Castro and 18th street. The small chain, founded in 1992, offers housemade bagels and hot sandwiches like the Turkey Avocado Melt and Roast Beef Melt. In tandem with a few chain stores, the Castro offers a unique assortment of novelty stores and popular restaurants that add charm to the local community while maintaining a forward-looking reputation. Dogo Love, a small boutique on Castro and 18th streets, is a dog-lovers paradise selling dog-themed items including travel luggage featuring chihuahuas, dog embroidered pillows and a surplus of house decor such as French Bulldog figurines. Four blocks east of Dogo Love at 18th and Church streets is Bebebar, a popular smoothie and açai joint offering a variety of fresh juices and bowls. 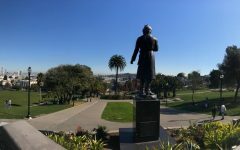 The juice bar is located adjacent to Mission Dolores Park, a popular hub for sunbathers, dog walkers and picnickers. Another local favorite for those craving something sweet is Hot Cookie, a confectionary on Castro Street that bakes specialty treats such as chocolate dipped brownies and cereal bars in a variety of flavors from toffee milk chocolate to white chocolate macadamia. 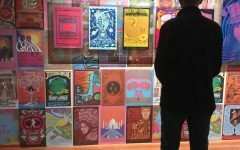 Once the home of Harvey Milk, a former member of the board of supervisors and prominent gay rights activist, the neighborhood is also home to the GLBT History Museum which aims to encapsulate the history and culture of the gay community. Located on 18th and Collingwood Street, The museum is open 11 a.m. to 6 p.m. Monday, Wednesday through Saturday, and 12 p.m. to 5 p.m. on Sundays. The Castro is the final destination of the historic F-Market and Wharves streetcar that runs from Jones Street down to 17th and Market streets. The neighborhood is accessible from Convent by the 24-Divisadero Muni bus line.